In my continued exploration of professional development and evaluation, I partnered with the Educational Technology and Media department from my university to conduct a pilot survey on what types, and how faculty use current classroom technologies. The results of this pilot will inform necessary modifications to the data collection tool prior to faculty-wide administration at a later date. This is a summary of the project outcomes. Assess current level and type of technology usage by faculty. Assess readiness for online teaching (through analysis of objective 1). 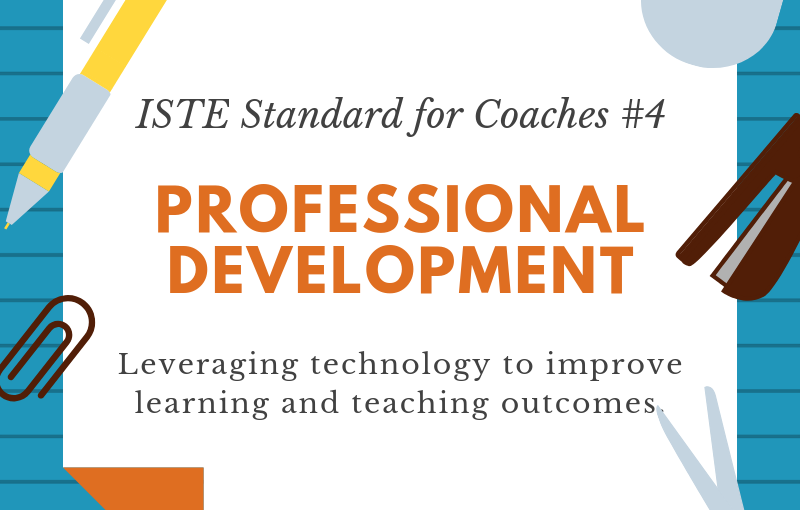 Determine if current technology offered to faculty meets the needs of the faculty. Collect feedback from pilot participants on survey questions for improvement. Determine if pilot survey collects intended data. A survey was distributed to a convenience sample of 20 participants with the ability to recruit others. The participants were asked questions regarding areas of teaching where technology is incorporated, types of classroom technology use, student use of classroom technology, and self-identification of rate of technology adoption. Descriptive analysis was run to determine characteristic technology use of the sample along with correlation tests to beginning understanding use profiles. 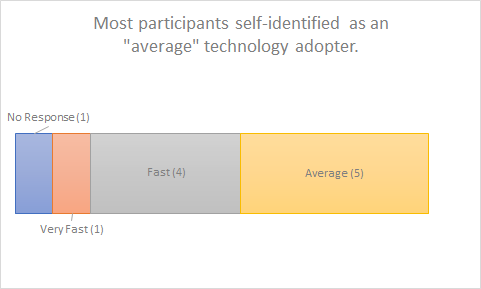 The results of this pilot study indicate that of the eleven (11) participants that completed the survey, most professors are fast to average technology adaptors indicating that they are open to technologies in the classroom and use technology in at least one area of their teaching/student learning. Professors feel mostly comfortable with supported classroom technologies unless they do not have access to them. If they do not feel comfortable with a technology, students will also not be exposed to these technologies which may include those that all professors have access to but are not part of every classroom such as mics and webcams. Professors also tended to rely more heavily on supported technologies as opposed to social media, which is true even when factoring into technology adoption identification. 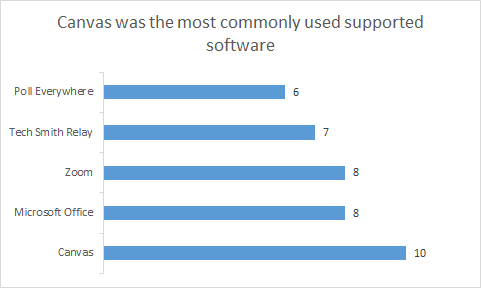 Professors used on average five (5) of the supported technologies where Canvas was the most commonly used. 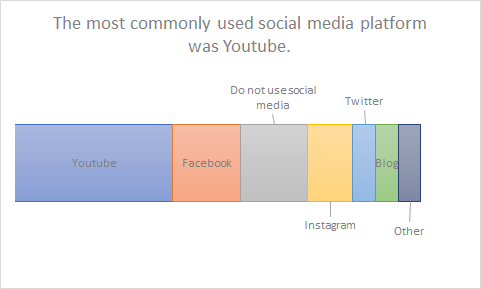 In comparison, professors only used one (1) social media platform on average, YouTube was the most preferred. The faculty in this study were supportive of student use of technology in the classroom, allowing students to use all types of technologies only discriminating when in the classroom period technology may be used. These findings cannot be generalized to the entire faculty demographic. Recommendations to clarify survey items for better responses include definitions of major technology terminology and changes to the Likert scales for inclusion.